Many insurance plans have complicated rules regarding specialist visits and referrals. Even within the same insurance company, policies and procedures may vary from one employer to the next. 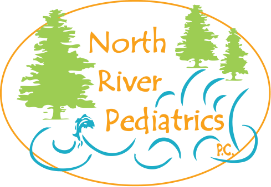 As a result, it is impossible for North River Pediatrics to know the details of every patient’s insurance plan. When you need to visit another doctor or facility, it is your responsibility to know your specific benefits. If you are unsure, you can get more information by calling the member services number on the back of your insurance card. If your insurance plan does need referrals, our office policy requires that you schedule an appointment with our office first. As your medical home, it is important that the process begins at our office. We cannot “back date” a referral. If you are seen by a specialist without a referral, we will not be able to process one after the fact. If you call us on the way to the specialist, we will not be able to process your request in time for your scheduled visit. You may be asked to reschedule the appointment if the specialist cannot verify that you have a referral in the system. If you need to see a specialist for a follow-up appointment, inquire if you will need an additional referral or if the original referral included a certain number of follow-up visits within a defined period of time.